Booths are approximately 96 square feet (8' x 12') - $100.00. Electricity $10.00 per booth. These fees include hospitality for vendors each day. Friday night for set-up and Sunday afternoon for tear down--they have students that help bring in your items and will help take back to your vehicle on Sunday afternoon. Applications are available here and are due by September 20, 2014 October 15th, 2014. 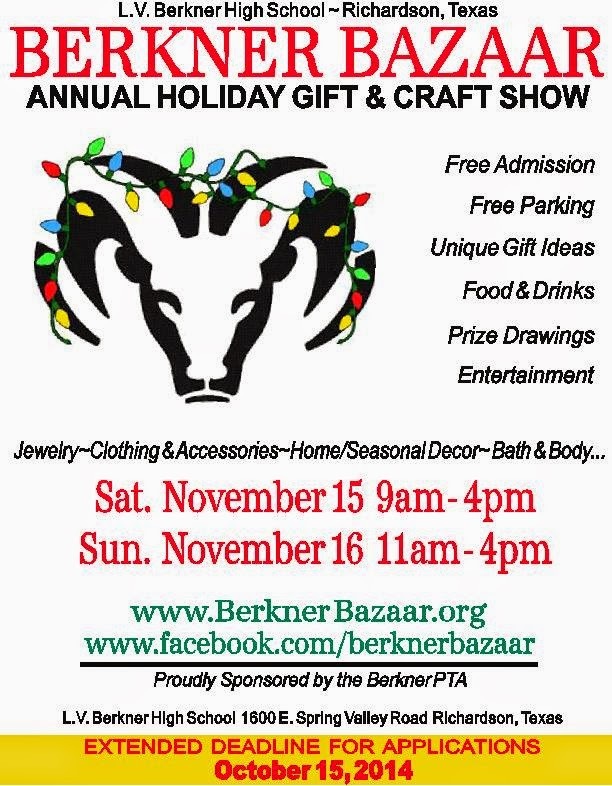 For more information, visit their website or contact their event coordinator at berknerbazaaar@gmail.com.